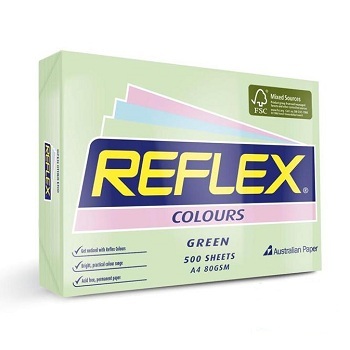 Stand out with Australian made Reflex Colours! 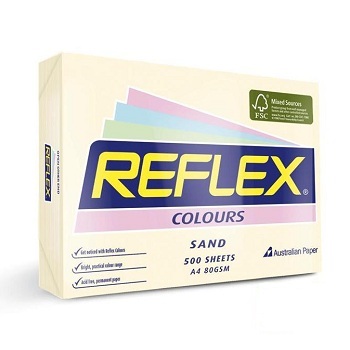 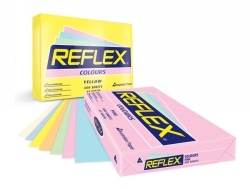 Use Reflex A4 Colours to highlight your work and brighten up your workplace for impact and efficiency. Ideal for flyers, leaflets, presentations, reports, training documents, certificates, statements, invoices, notices, faxes, newsletters and direct mail. 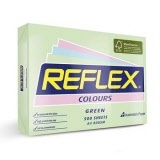 Stand out with Australian made Reflex Colours! Guaranteed for use in all copiers, laser and inkjet printers. 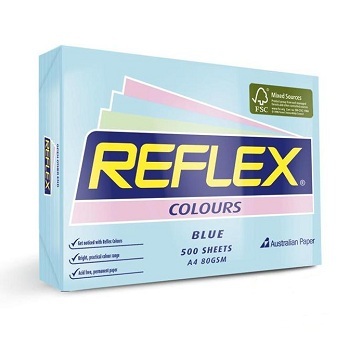 A4 size (210 x 297 mm) - 80 gsm weight paper. Ream (pack) of 500 sheets.